Whether you are looking to add some curb appeal to the outside of your home or just want to create a focal point chandelier over your dining room table, The Mission Motif can handle all of your custom Mission style lighting needs. 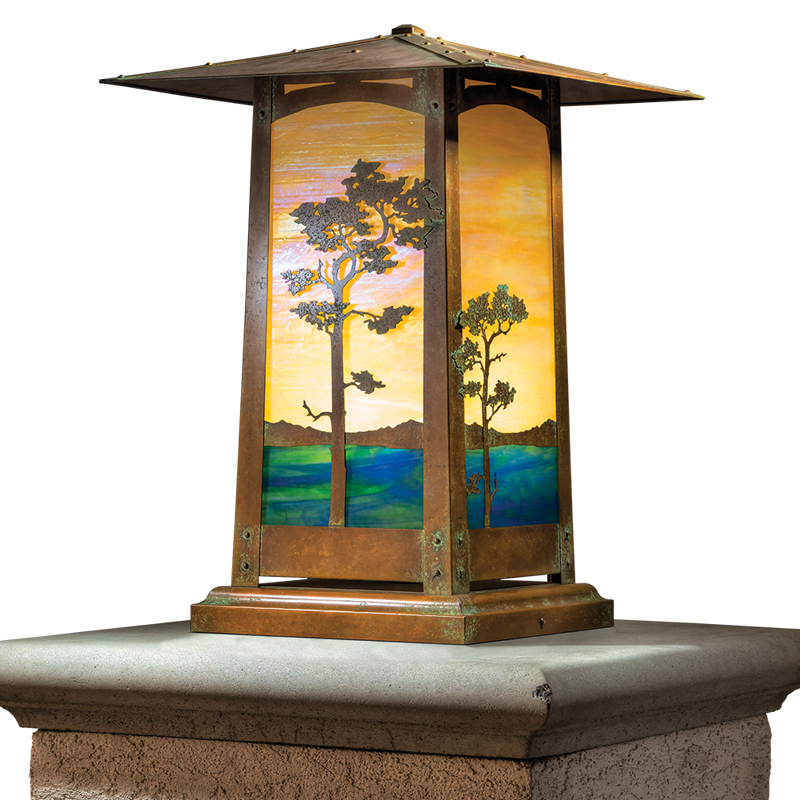 All of our craftsman style light fixtures are inspired by the Arts and Crafts Movement with a large selection of Mission Style, Craftsman Style, Greene & Greene, and Prairie Style. We can help you choose your metal finish, glass finishes, and other custom size requirements for both indoor and outdoor Mission style lighting. Call one of our craftsman style light fixture experts today to discuss your project needs.